Isn't she beautiful? Bonnie will make any small space look good. Ideal for bathroom, kitchen, shelf dressing and office space. Bonnie is an Epipremnum Aureum aka Devils Ivy or Marble Queen Pothos. She is a popular choice when it comes to hard to kill plants. This trailing plant with its distinctly varigated green and white leaves is a hardy indoor plant that tolerates a wide range of growing condition including low light and irregular watering. 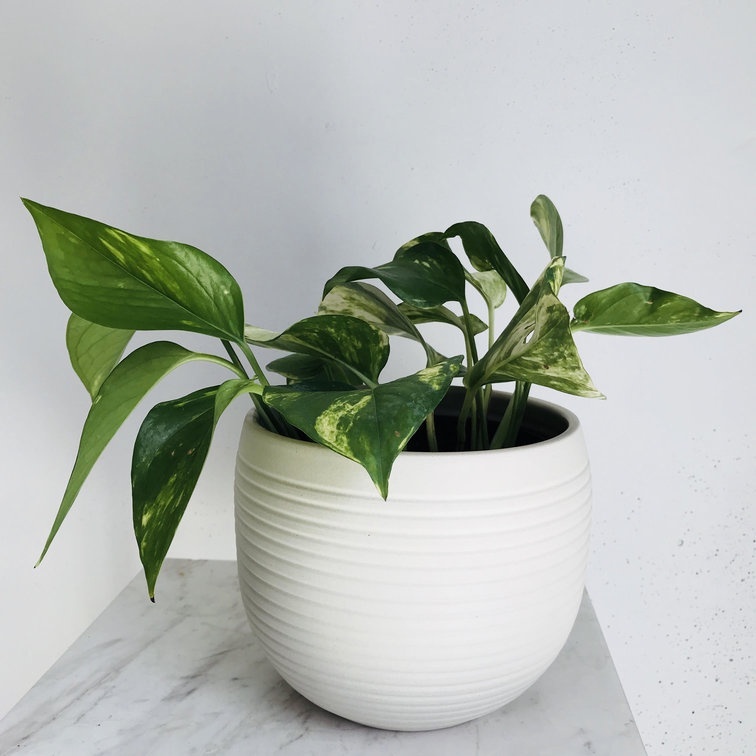 Marble Queen are harder to find and are more of a slow grower compared to the Golden Pothos. Bonnie is a true beauty. Requires moderate amount of water only once the surface of the soil has dried out. Plant food (fertiliser) to maintain lush growth. Total Height from bottom of pot to top of plant is approx 30cm.